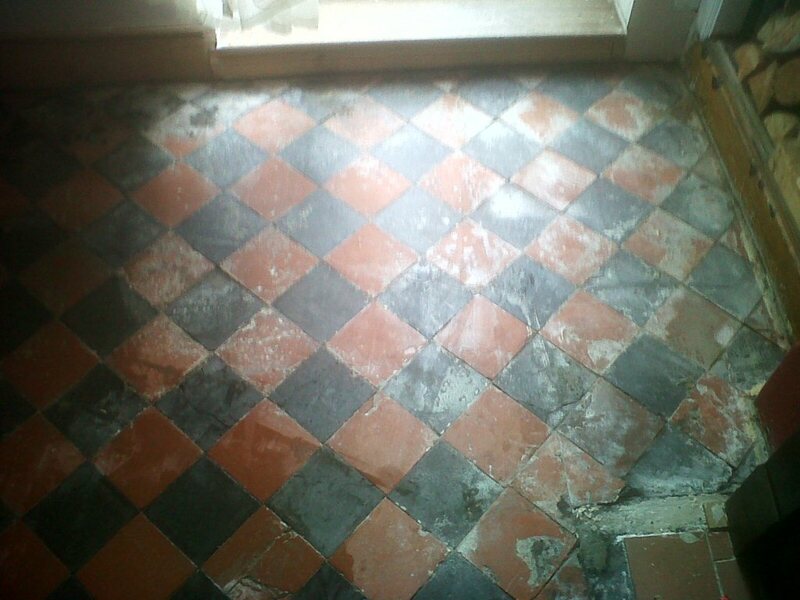 These old red and black Victorian quarry tiles at a house in Leek, Staffordshire, were in a bit of a state as you can see from the photographs below. 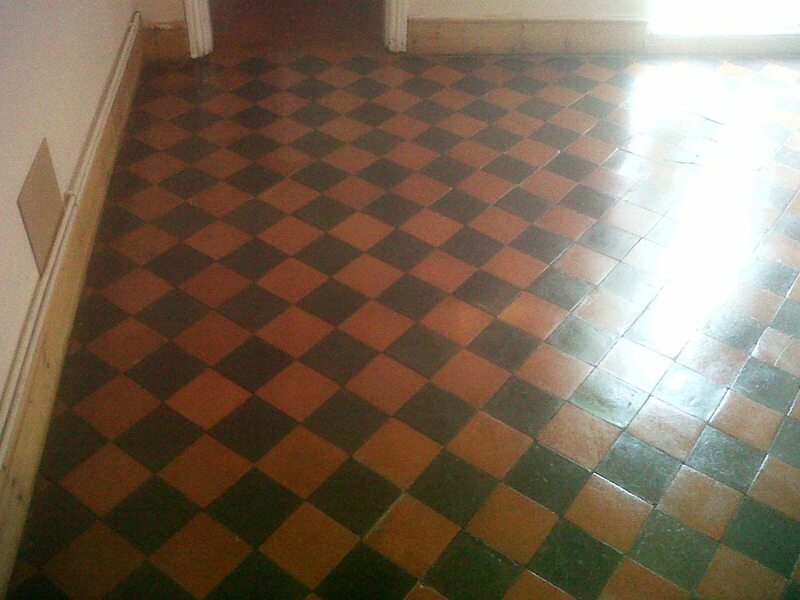 To clean the floor I applied a 50/50 mix of Tile Doctor Pro-Clean and NanoTech Ultra Clean diluted with water which was left to soak into the floor and then worked into the tile using a rotary machine fitted with a black scrubbing pad running at a slow speed. Pro-Clean is a strong alkaline cleaner and NanoTech Ultra Clean adds tiny abrasive particles to the solution that can help lift out the dirt. 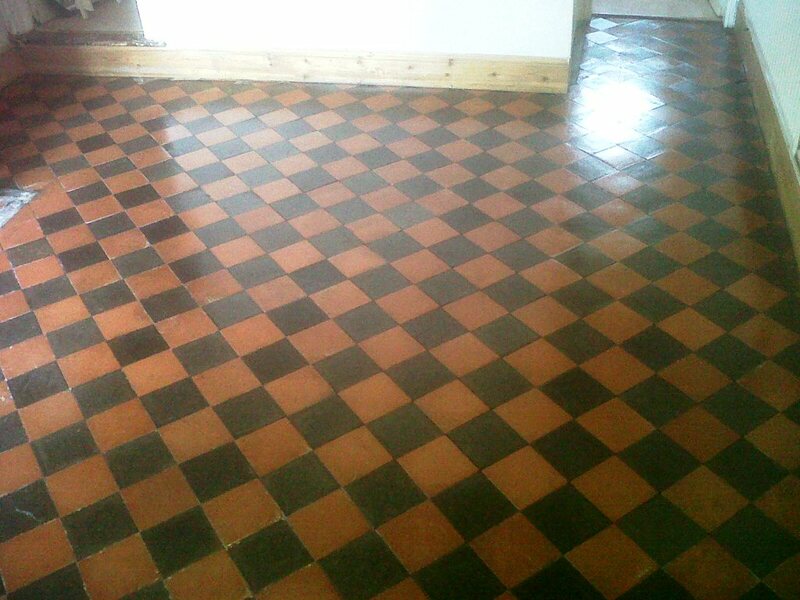 The next day I wiped it over with a damp mop to get any dirt or dust that might have settled overnight and then when it was dry again I applied four coats of Tile Doctor Seal & Go using an air mover to help dry the floor quicker between coats. 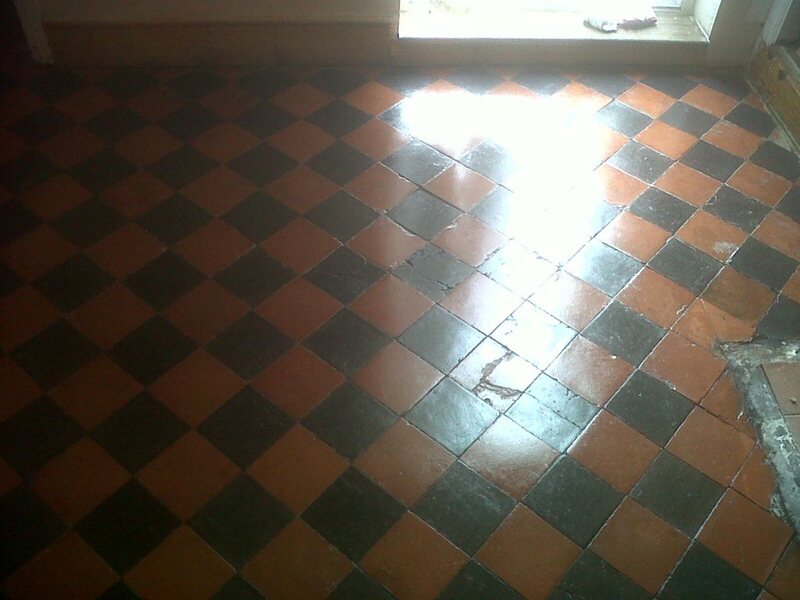 Seal and Go adds a nice low shine to the tile and as you can see the floor looked amazing afterwards, needless to say the customer was very pleased with the transformation and left the comment below. “I found Trevor a very professional and dedicated workman. He would not let the job finish until he had got the best result. 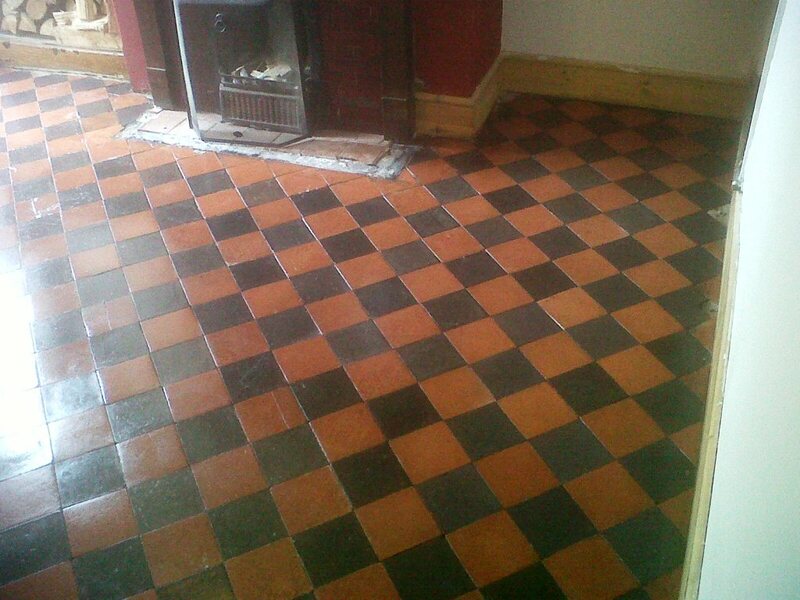 This entry was posted in Work History and tagged cleaning services, floor maintenance, leek, red and black victorian quarry tile, sealing, staffordshire, tile cleaning, tile restoration, tiled floor, victorian quarry tiles by Trevor Preece. Bookmark the permalink. 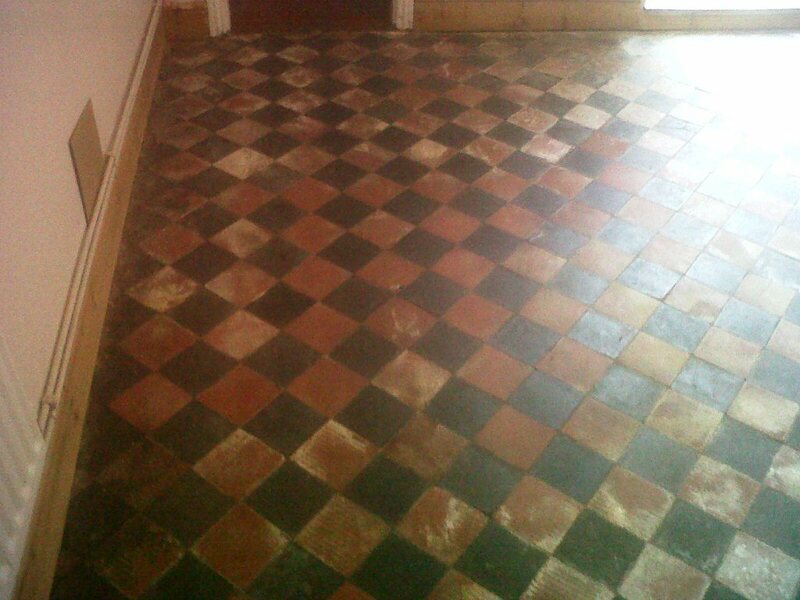 Nice work Trevor, good point that about adding NanoTech UltraClean it really helps to get into the pores on a tile.